Need a textbook? It might be on reserve! If you haven’t gotten your textbooks yet, here’s one way to avoid falling behind on assignments and readings. Your book may be available on reserve at the library. To find out if we have your book, you will need to know the course number and your instructor’s name. 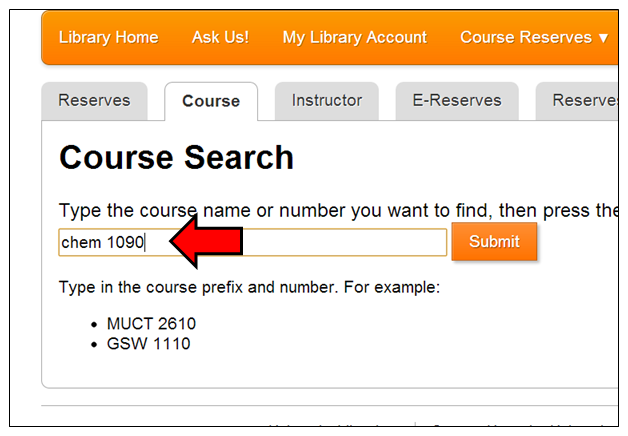 Start at the library’s home page, and click on “Course Reserves” on the left side. 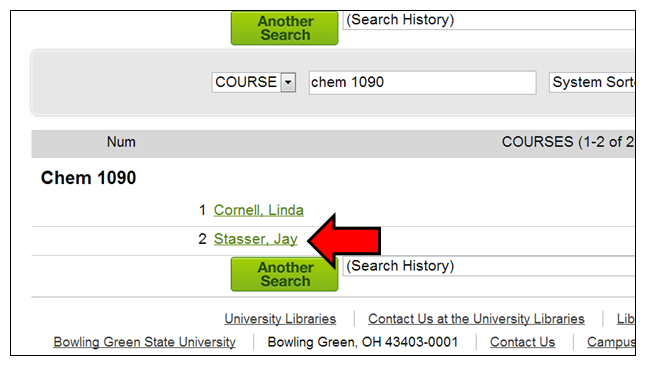 You can search by course number or instructor’s name. In this example we’ll use the course number. Make sure that you use the 3 or 4 letter prefix, such as CHEM, and not the full name of the subject, such as Chemistry. You only need the 4 digit number, not the section number. If your book is on reserve, this will show you where it is located. Main reserves are at the Jerome Library first floor circulation desk. Firelands reserves are at Firelands campus (reserves can’t be sent between campuses). CRC reserves and Music reserves are in Jerome Library on the 2nd and 3rd floors. This also shows that the book is available. If the item is checked out, it will say what time it is due back. 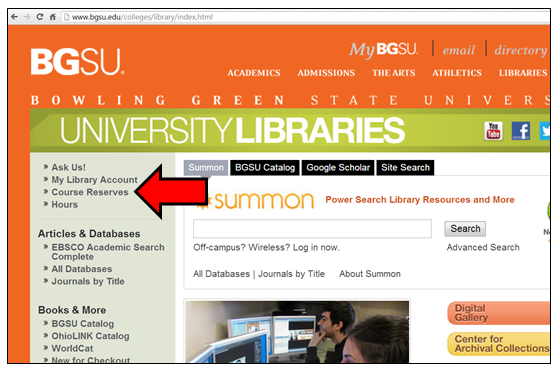 If your book is not available on reserve, you might be able to request a copy via OhioLINK. Learn more about finding your book with OhioLINK, or, if you need help, don’t hesitate to Ask Us! Announcing BrowZine – the iPad App for Scholarly Journals! Hopefully you got to use BrowZine when we did a trial for it this past spring. 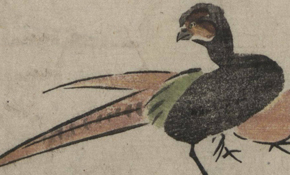 University Libraries is happy to announce that we have subscribed to this unique resource and it is available for use! BrowZine is a free iPad app that works with the University Libraries’ ejournal subscriptions. Once you download the app, you will be able to choose Bowling Green State University from the list of affiliated universities and log in using your BGSU username and password. Then you can browse our ejournals by title and subject and connect to full text from your iPad. Articles discovered through BrowZine can easily be sent to Zotero, Dropbox, iAnnotate, or several other services to integrate with your existing workflow. To learn more about BrowZine, watch this introductory video, or attend one of our workshops! Three are scheduled: September 4, 2:30-3:30; September 12, 10:30-11:30, and September 27, 1:30-2:30. All will be held in Pallister Conference Room on the first floor of Jerome Library (NOT the Center for Teaching & Learning, nor Jerome Library 142, as previously reported!). To register, fill out this online form. BGSU has only subscribed to BrowZine for the iOS platform, and it is currently only available for iPad. An iPhone version is in development and will be released in 2014. 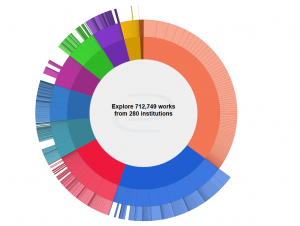 We are excited about this resource and think it is a great tool to help researchers keep up with the scholarly literature in their disciplines. Try it, and let us know what you think! Over 1,000 full-text ebooks from Springer were recently added to the OhioLINK Electronic Book Center. Springer is an important international publisher of science, technology and medical research. 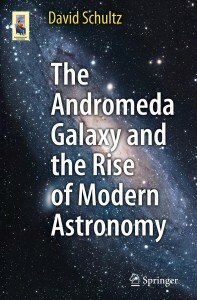 Some of the titles recently added include Henri Poincare: Impatient Genius, Handbook of Children with Special Health Care Needs, Environmentally Friendly Machining, Cloud Computing and Services Science, and, of course, The Andromeda Galaxy and the Rise of Modern Science. You can search or browse the full text of any of these titles, plus thousands more, by visiting the OhioLINK Electronic Book Center. Readers can download chapters of Springer books as pdfs from the EBC, making them easy to read on a mobile device or to print. BGSU students and faculty have access to tens of thousands of ebooks on many different platforms through the library’s website. To find them, do a search in Summon then limit your results to the content type “book/ebook” and also to “full text online.” You can learn more about our platforms by visiting our list of E-Book Collections. Researching investments for your business degree or MBA? 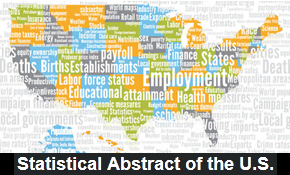 The Morningstar Investment Research Center can be an invaluable resource. 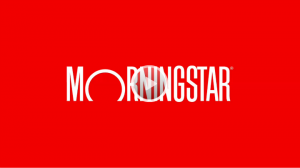 Morningstar provides financial data on over 8,000 stocks and 23,000 mutual funds as well as reports on securities written by Morningstar analysts. You can use it now through the BGSU Libraries and you may also use it professionally once you begin your career – so it’s important to learn what it has to offer! A new 3-minute video introduction gives users an overview of how to use Morningstar for investment research. Watch it today! Try BrowZine – the iPad App for Scholarly Journals! BrowZine allows you to browse and read many of Jerome Library’s academic journals on your iPad. 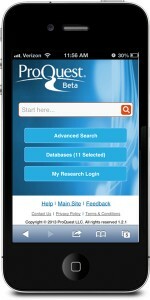 Once you download the app, you will be able to browse journals by subject and read full text by logging in with your BGSU username and password. Articles discovered through BrowZine can easily be sent to Zotero, Dropbox, iAnnotate, or several other services to integrate with your existing workflow. We think BrowZine is an exciting, efficient way for scholars to keep up with the most important journals in their fields, and we hope you do, too! To learn more, watch this introductory video. Let us know how you like BrowZine! 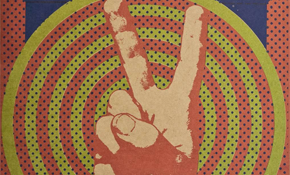 Use it by May 21 to synch with the University Libraries’ journal subscriptions.